Contributed Photo. 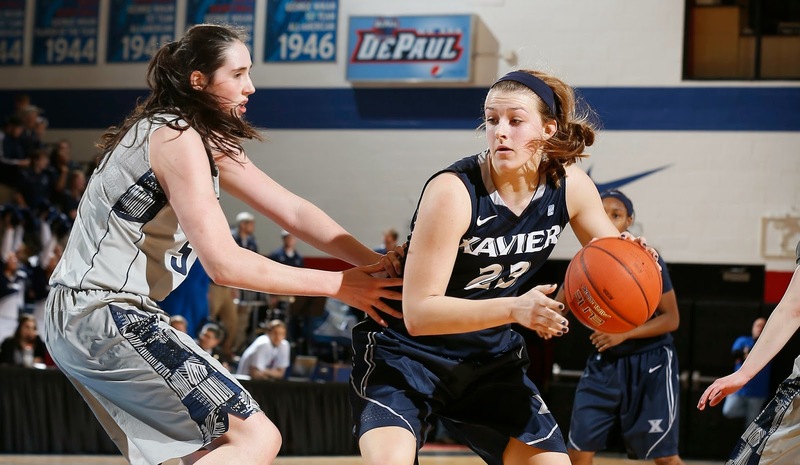 Xavier's Leah Schaefer (23) makes a move in a game against Georgetown last season. The 2013 Highlands alum averaged 28.9 minutes, 5.3 points and six rebounds per contest her freshman year. Many players have to wait a couple years to see the court as much as they did in high school. Jennifer Jones Photo. Highlands pitcher Joey Cochran helped the Highlands baseball team to a 22-18 record and appearance in the 9th Region title game this past year. As usual, the Highlands and Newport Central Catholic sports teams had plenty of great moments during the 2013-14 school year. G. Michael Graham Photo. A new weight room facility and parking lot are among the things being built in Death Valley at Highlands High School. Off to the south of David Cecil Memorial Stadium is a place known as Death Valley. It once housed the field of the Highlands softball team and served as a practice field for the football team. It is currently covered in construction. Fort Thomas Matters File Photo. Brian Wiefering hopes to lead the Highlands girls soccer team back to the top. Rising sophomore Kiersten Clukey (right) is one of the returning players Wiefering has to work with. The new head coach of the Highlands Ladybirds soccer program is not afraid of high expectations. There was a time when the Blue and White sat near the top of the state of Kentucky and Brian Wiefering wants to see those days return quickly. Wiefering held his first team meeting Monday after being named the new head coach last week. Allen Ramsey Photo. Highlands first baseman Brennah Dutcher catches a bunt attempt and throws to first for a double-play in Friday's state softball tournament game against Owensboro Apollo. 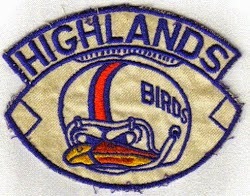 Highlands finished the historic year 27-14. Allen Ramsey Photo. 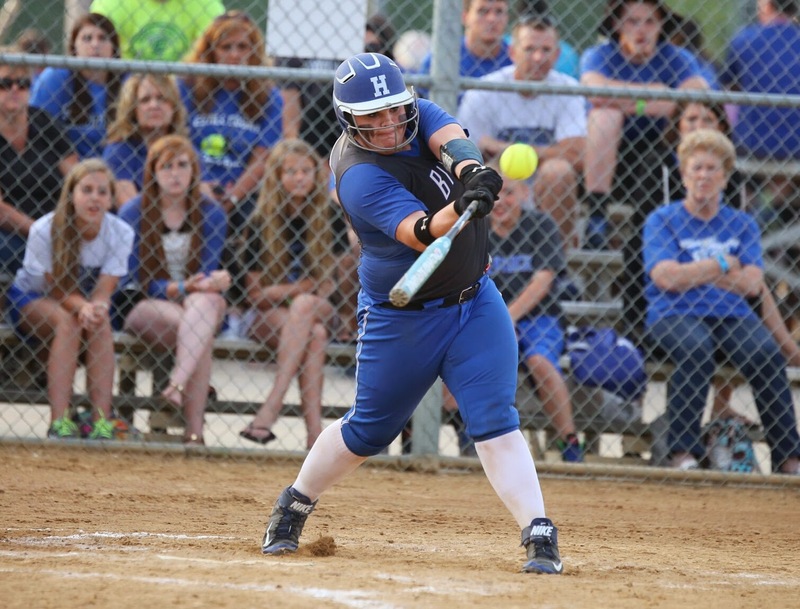 Highlands senior Ashley Grosser attempts a bunt against Owensboro Apollo. Grosser and Kendall Turner are the lone two seniors on the team. OWENSBORO – The good news is the Highlands Ladybirds softball team can say it’s seen the best teams in Kentucky. They hope to learn from their first-ever experience that ended Saturday in the double-elimination tournament. Highlands (27-14) fell to 3rd Region champion Owensboro Apollo, 12-2 in the morning then 16th Region champion Ashland, 12-0 in the afternoon. Allen Ramsey Photo. Highlands seventh-grader Chloe Jansen scores in the fouth inning of Thursday's state tournament game against Estill County. Highlands won 4-1. Allen Ramsey Photo. 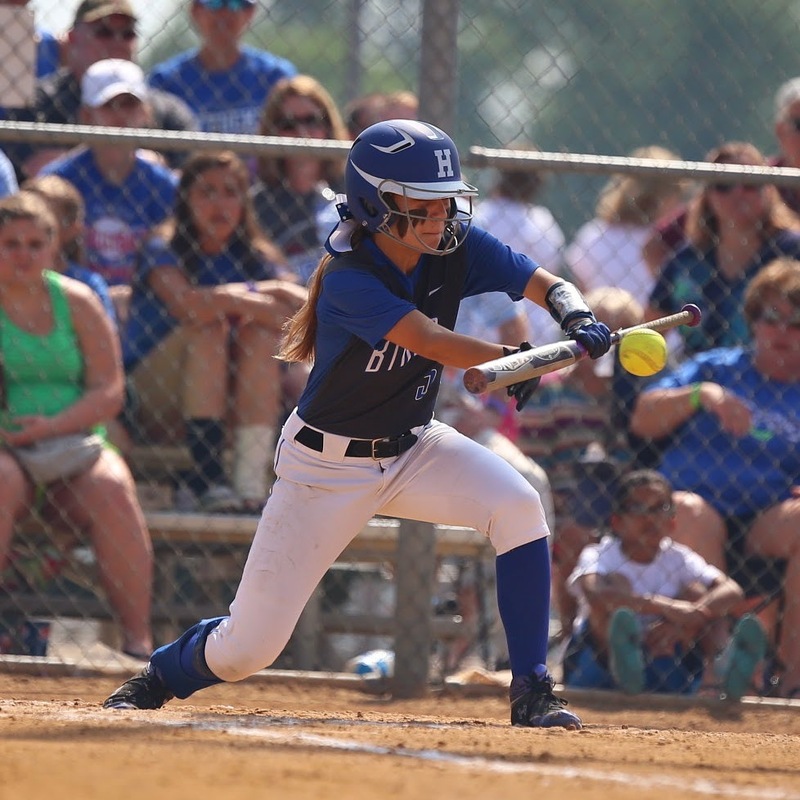 Highlands sophomore Shelby Graybill cranks a two-run home run in the first inning against Estill County in the state tournament in Owensboro. It marked the eighth home run of the year for Graybill. Allen Ramsey Photo. 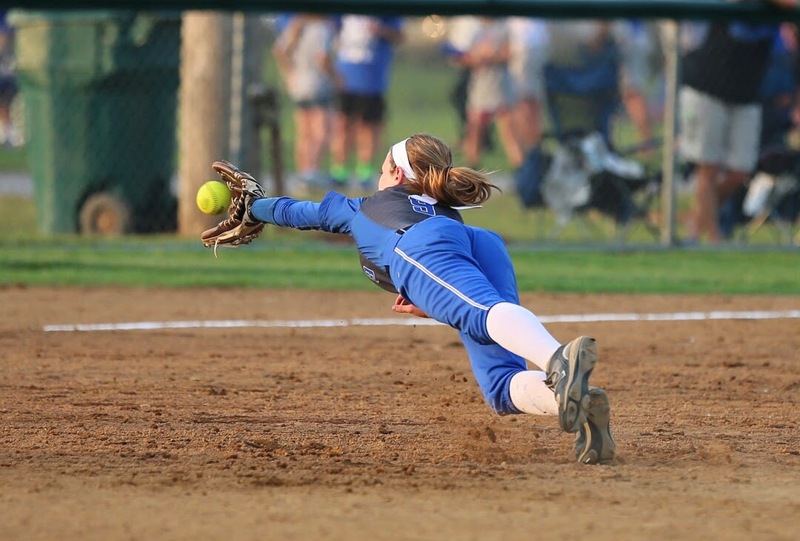 Highlands sophomore Haley Coffey makes another diving stop in the state tournament game against Estill County. OWENSBORO – It may not have been a win or go home game situation. But the Highlands Ladybirds softball team wanted to use it to set a tone for the rest of the Kentucky High School Athletic Association Fastpitch State Softball Tournament. 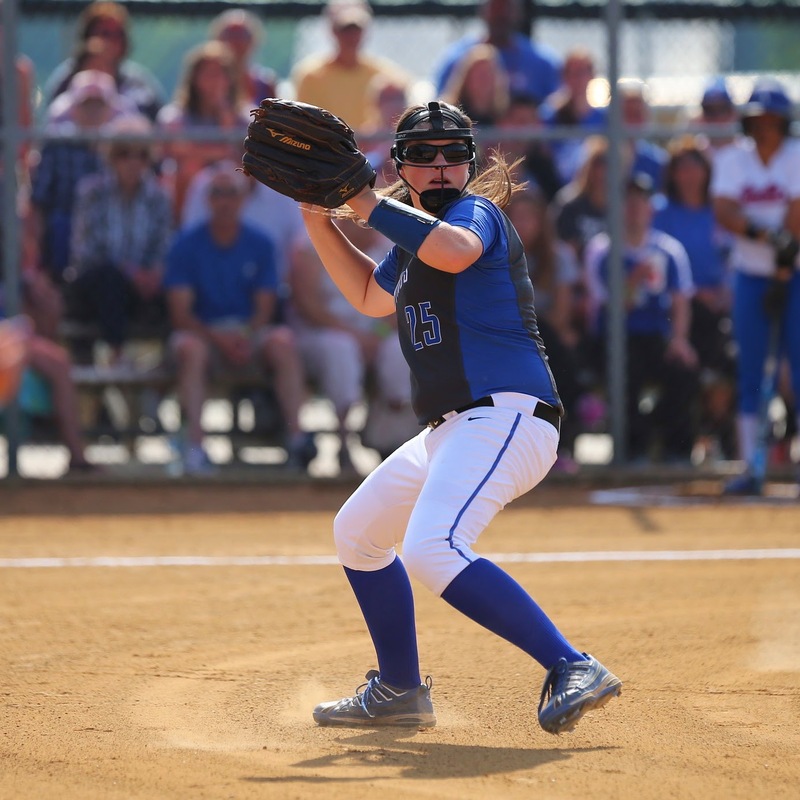 The 9th Region champions started off the tournament on the right foot overcoming inexperience and jitters in a 4-1 over the experienced 14th Region champion Estill County Lady Engineers. The game took place Thursday at Jack C. Fisher Park. Allen Ramsey Photo. Highlands pitcher Bailey Spencer winds up and fires home in last week's 9th Region Tournament. 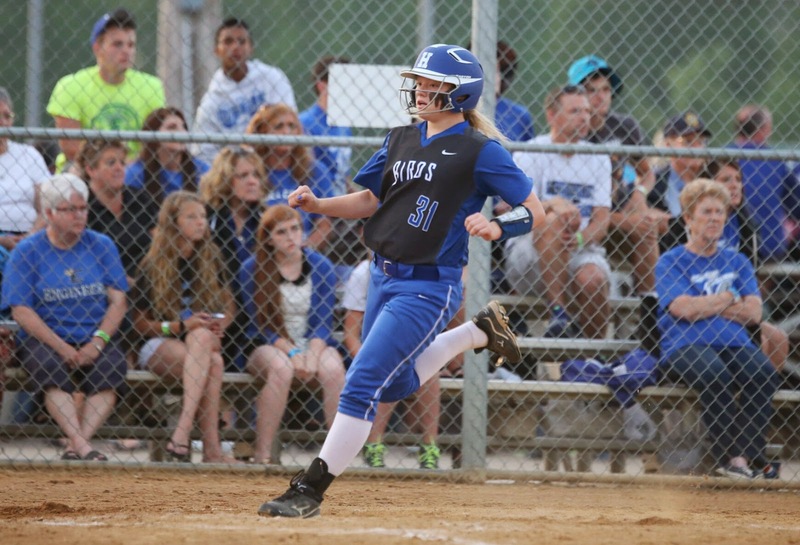 Spencer owns a record of 20-6 with 110 strikeouts entering the state softball tournament starting Thursday. It started with a vision that is quickly coming to fruition. The school named Rob Coffey the head coach of the Highlands Ladybirds fastpitch softball team in September of 2012. The prevailing thought among many at that time was to catch the Ryle Lady Raiders. Ryle had won seven of the past eight region titles at that point and captured the 2006 state championship. G. Michael Graham Photo. The Highlands Ladybirds enjoy their 9th Region quarterfinal win over Beechwood last fall. Head Coach Tommy Kearns (bottom right) resigned a few weeks ago because of increased workload at his job at Fidelity. Kearns guided the Ladybirds to a mark of 43-43-13 in five seasons as head coach. There will be some new faces leading Highlands Ladybirds programs this fall. Tommy Kearns and Whitney Mulroney recently resigned their positions as head coaches of the Highlands girls soccer and volleyball programs respectively. Kearns and Mulroney led the programs for five years both taking over in 2009.